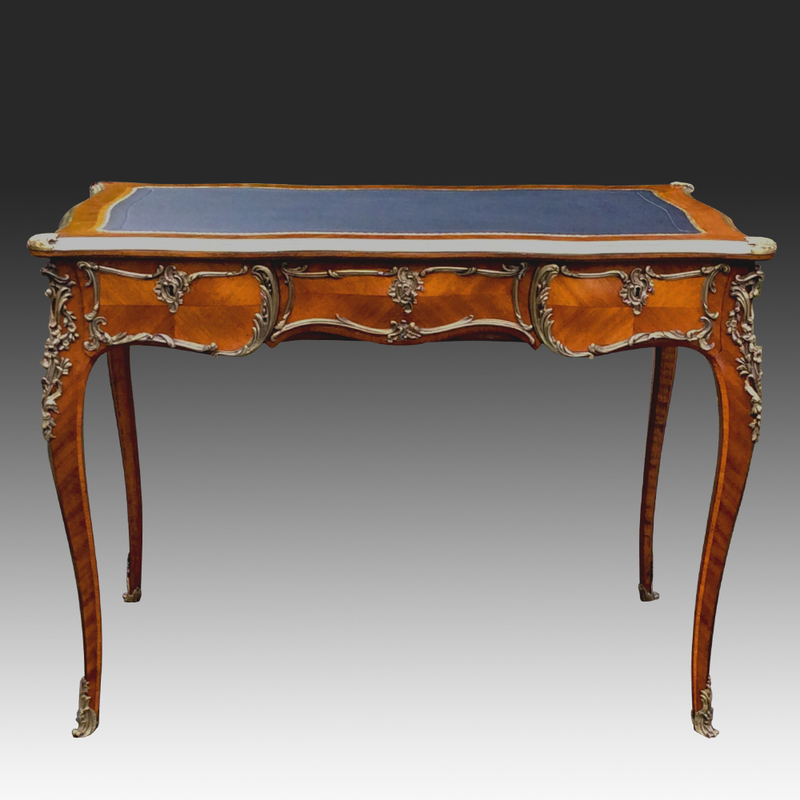 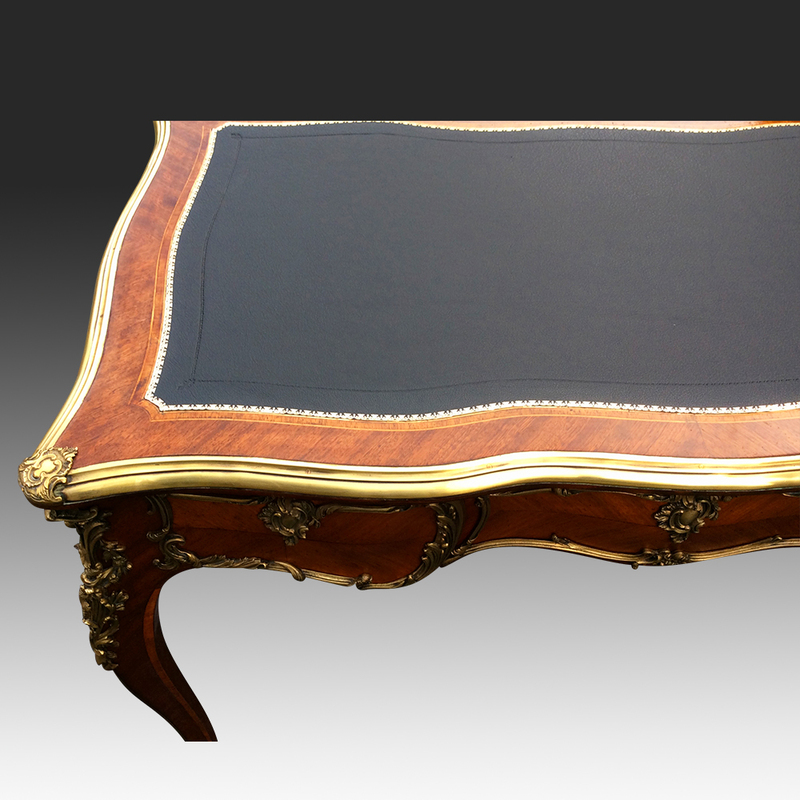 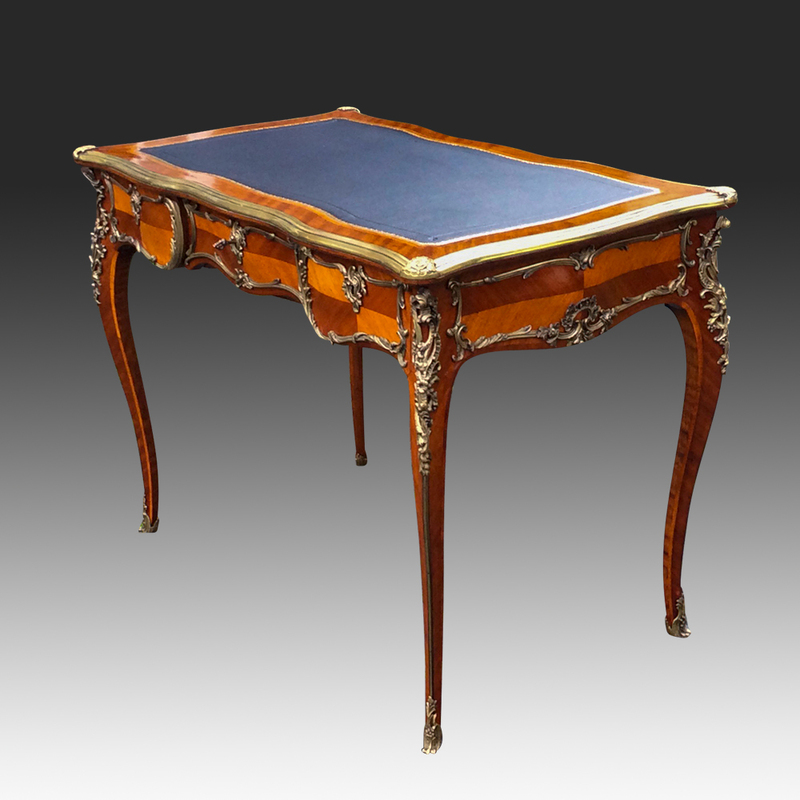 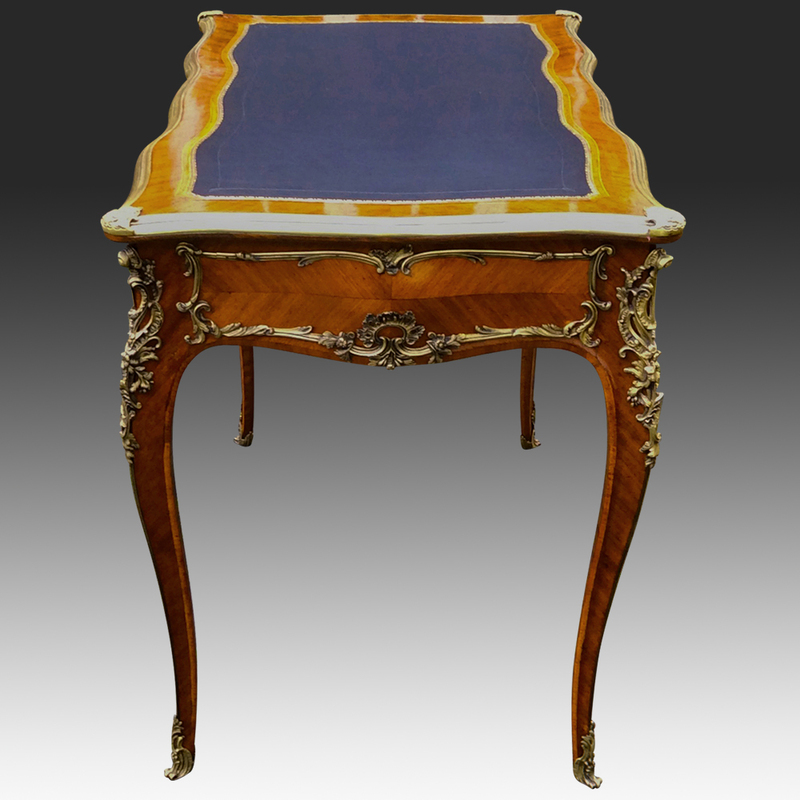 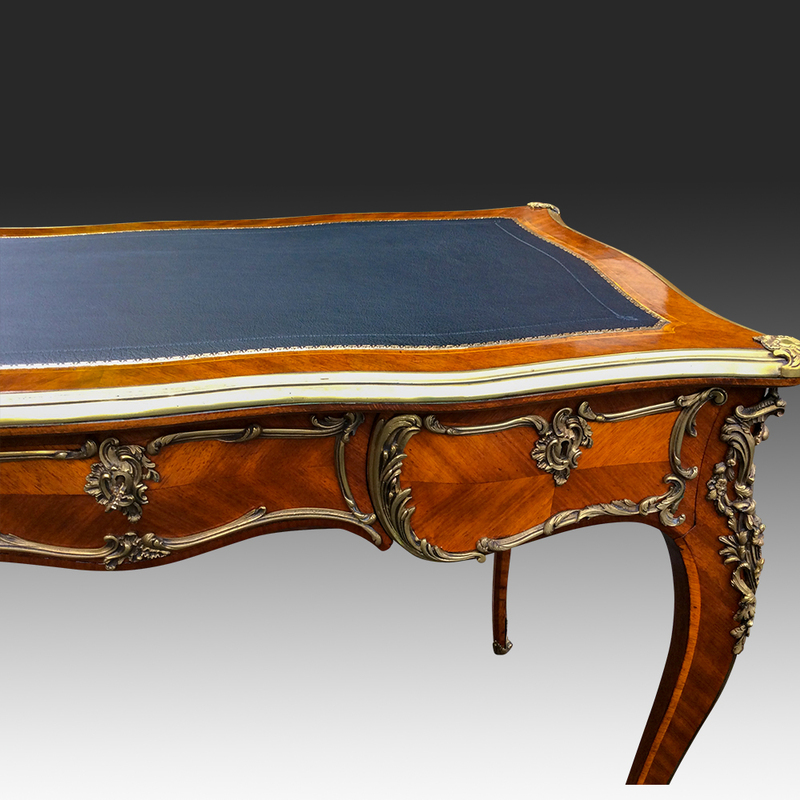 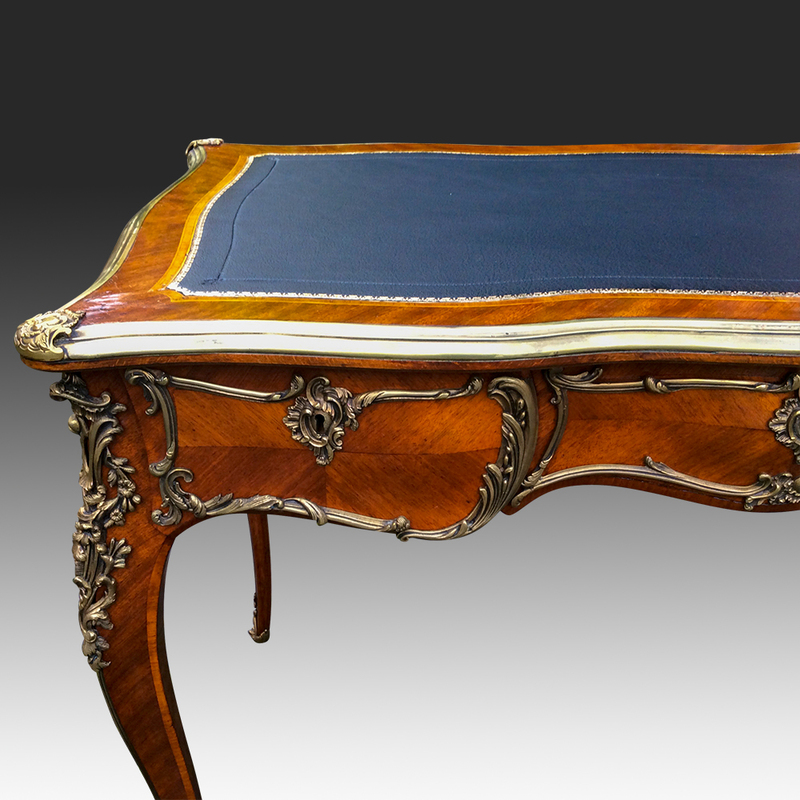 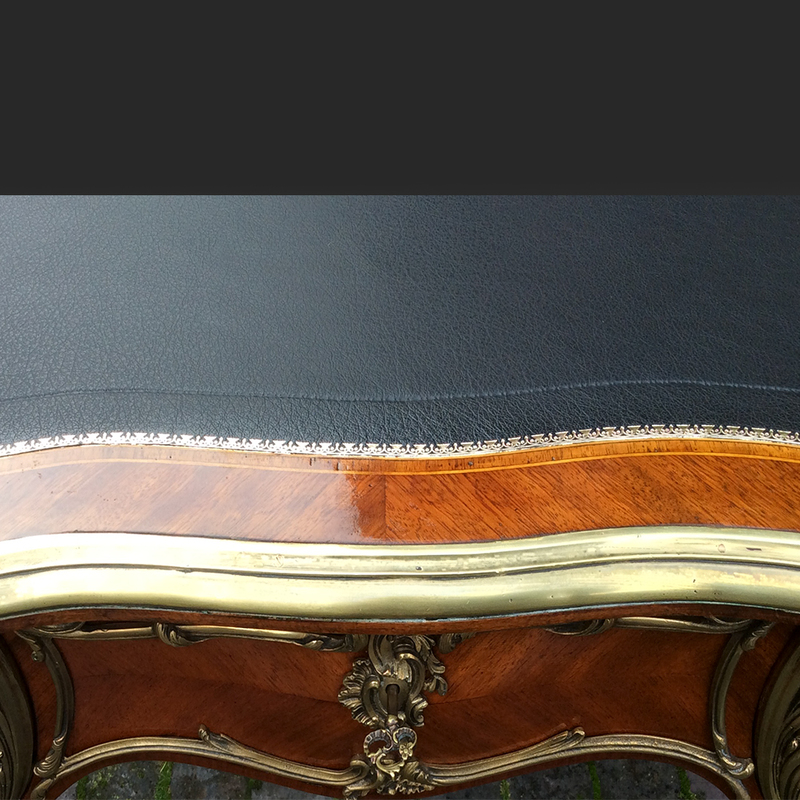 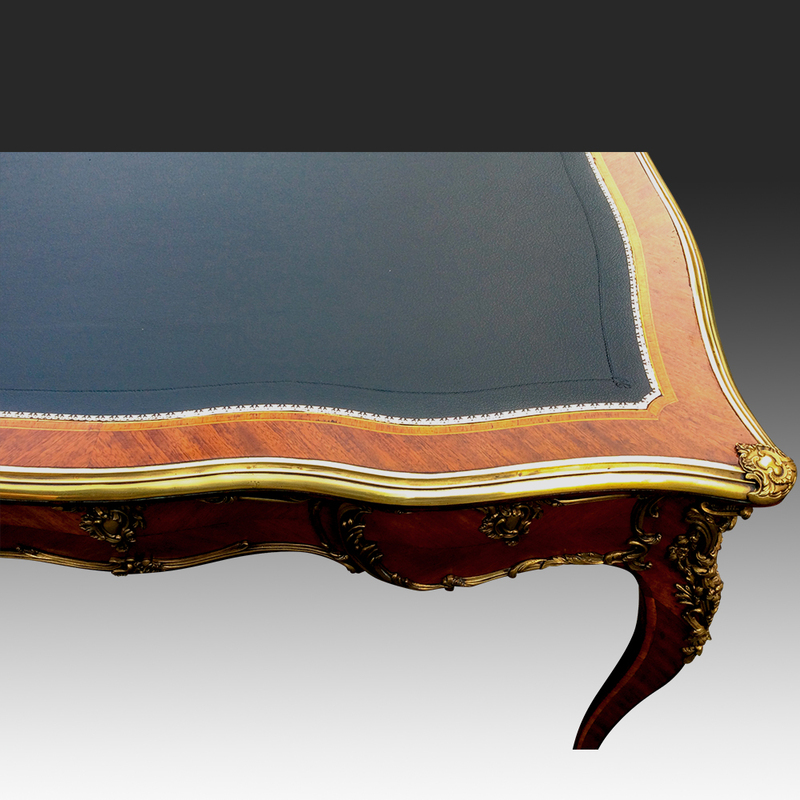 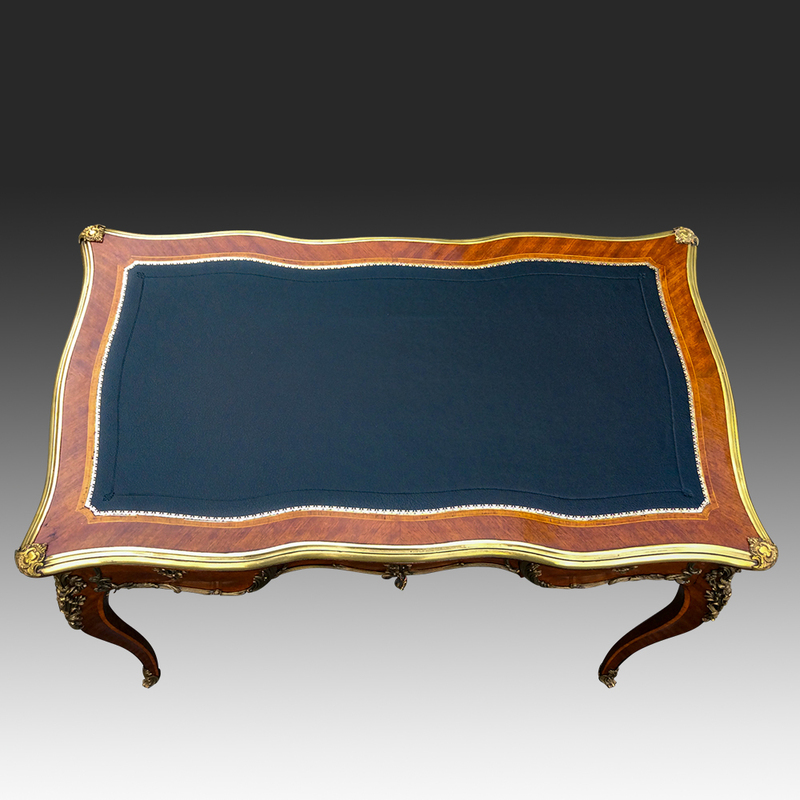 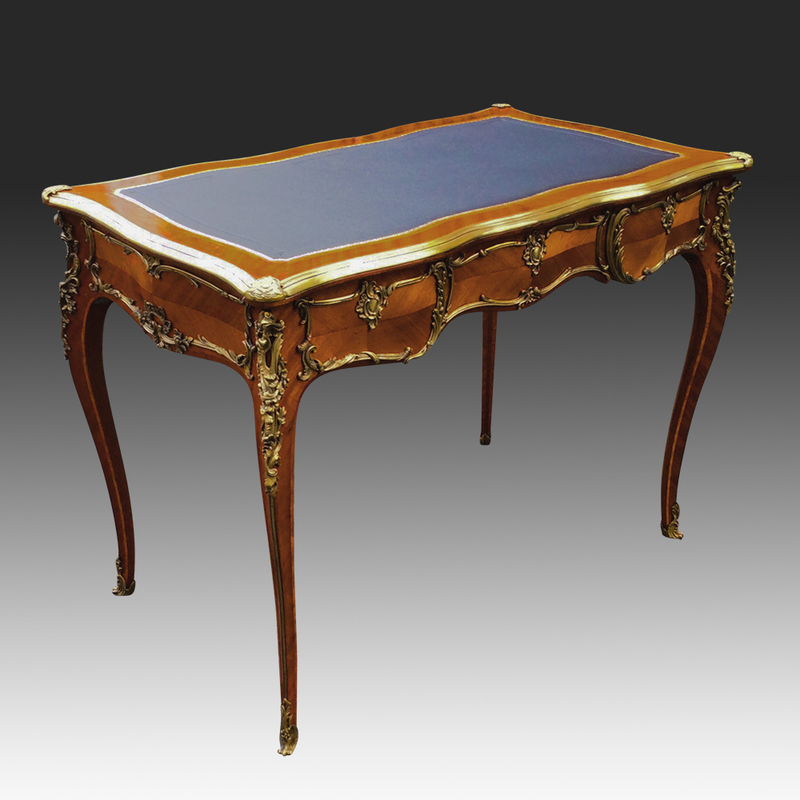 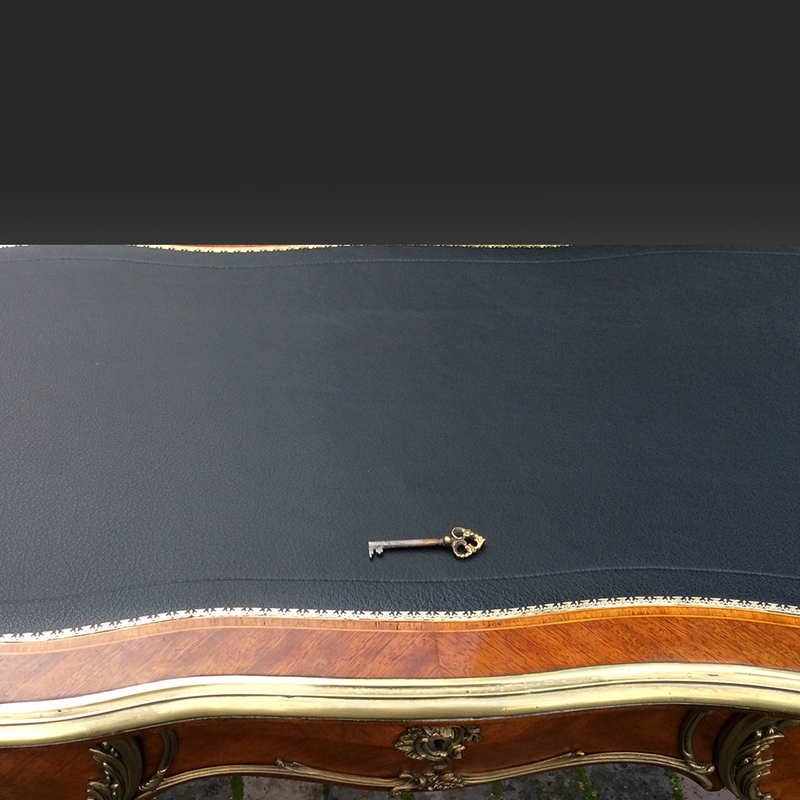 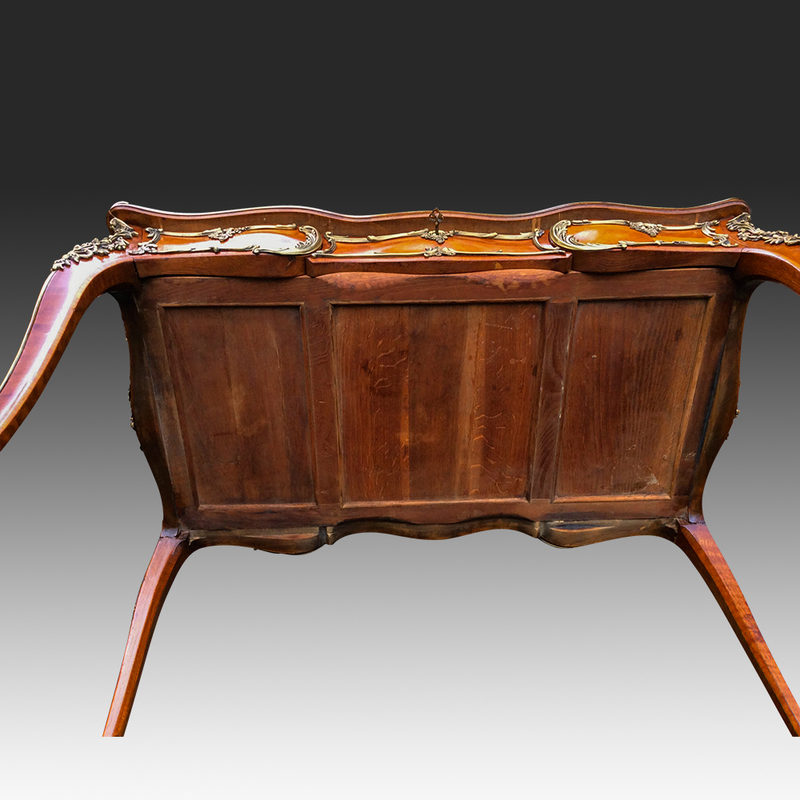 This attractive antique French writing table was made in the Louis XV style in the mid 19th century. 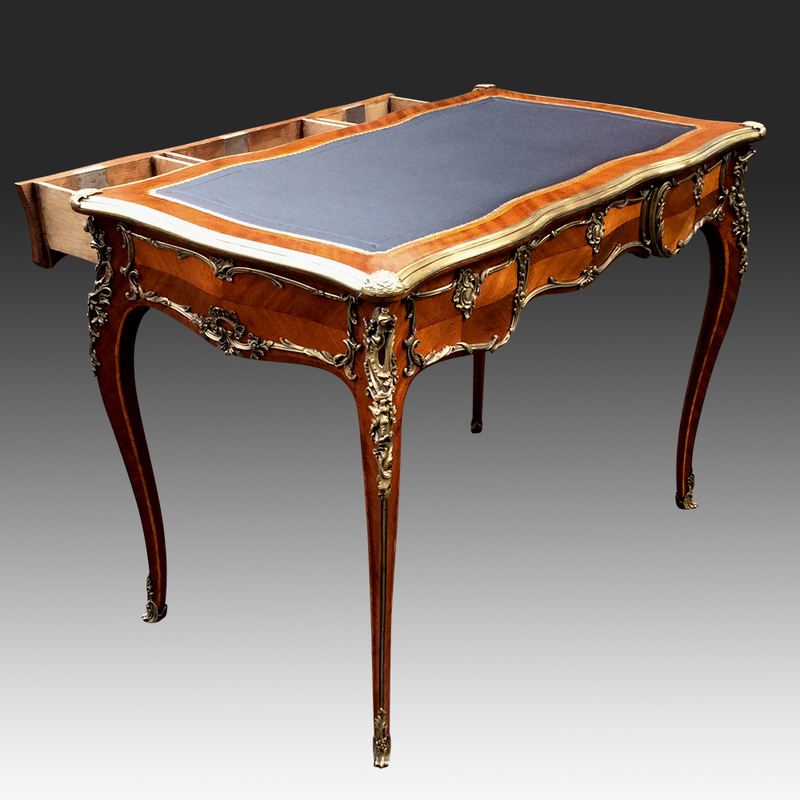 It has a replacement black hide writing surface with blind and gilt tooling which is surrounded by a cross band of tulipwood. 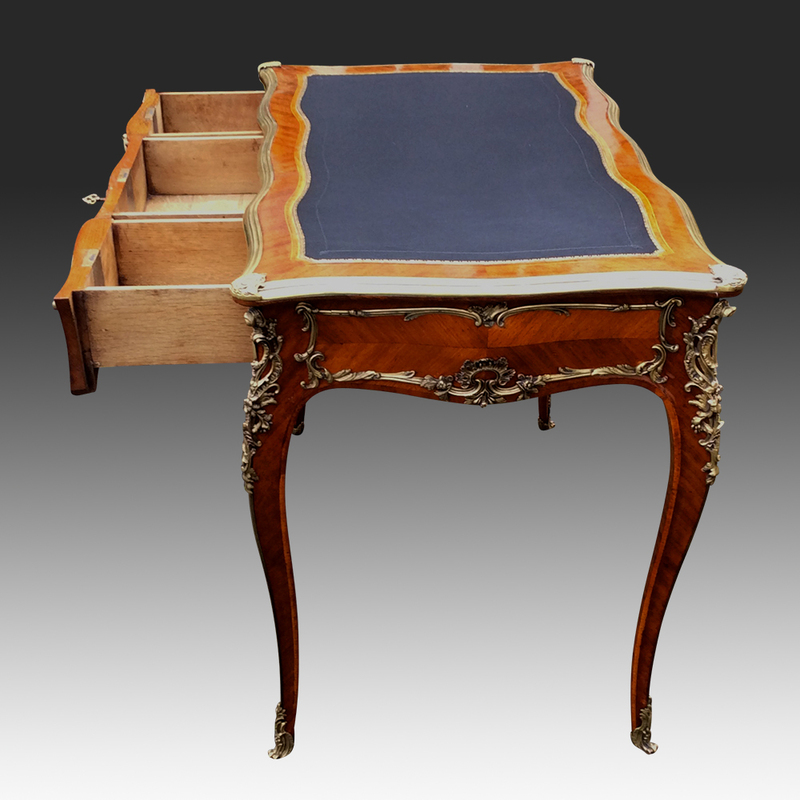 This beautiful small antique desk has a serpentine shaped front, all sided have ‘book-matched’ kingwood veneers and ‘bombé shaped sides and drawer fronts (bombé = projecting a bulbous swollen shape). 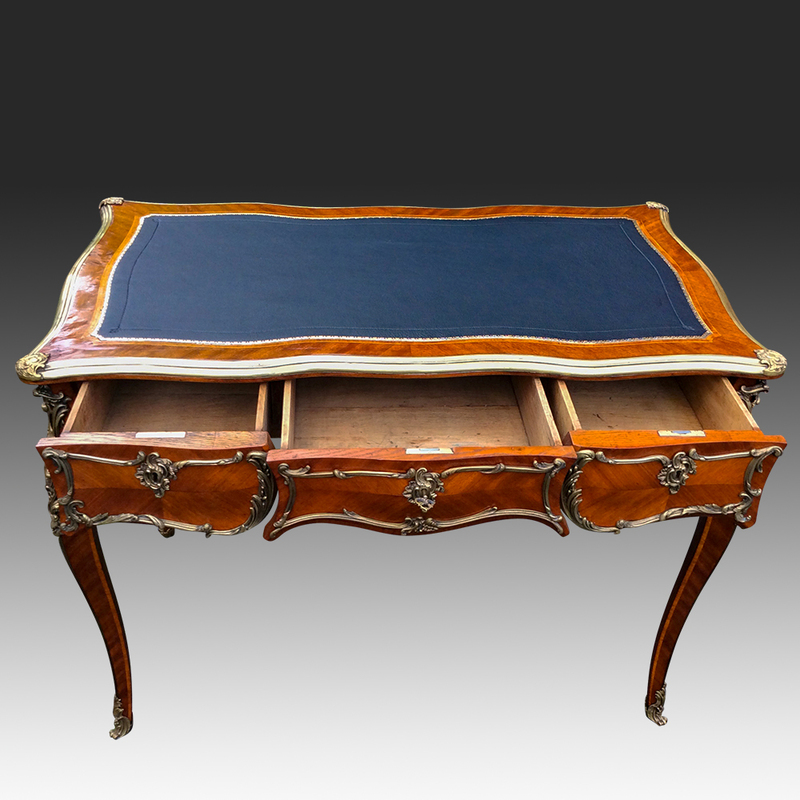 If you are interested in this Antique French Kingwood and Ormolu Burerau Plat or Writng Desk please contact us quoting reference: SN760.